Our students are fortunate to live in a time and place with many great opportunities to choose from in our communities. This year, our STRUT events have had low enrollment. As a result, STRUT will be taking a hiatus for the rest of this year. Both the Battle of the Bands, scheduled for Feb. 23, and our Festival Concert, scheduled for April 27, are officially canceled. All registration money will be refunded to those participants that had already registered. 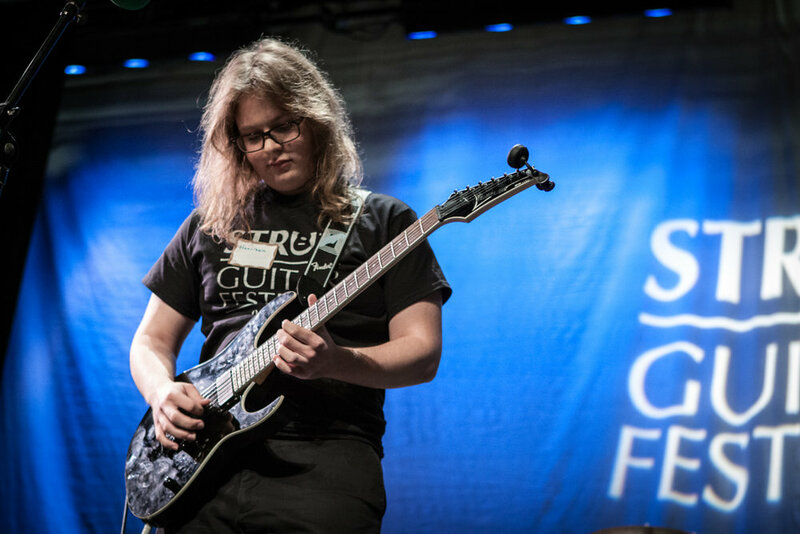 We will continue to carry out our STRUT: mission, Building confident musicians: One guitarist at a time, in our classrooms and communities as a team of music educators and enthusiasts as we move forward. We'd like to thank all of our participants, volunteers, workshop presenters, judges, donors & sponsors for all of your time, energy, passion, love and effort that went into our first four years of STRUT! We are so grateful for all of you and your support in the many ways that you showed up to make STRUT come to life. Stay tuned for future STRUT events and opportunities. We wish you all the best for the rest of 2019! Learn more about how you can participate in 2019! Register now to be a part of this exciting event. Are you ready to rock? STRUT: Fest depends on private funding. Help us bring this unique experience to more kids by donating now. Be a Rock Scholar and sponsor a kid for just $30. Studies continue to draw a reliable connection between arts education and engaged, successful students. Partner with us and let the community know you support kids and music. We need your help to make this year's event a success.